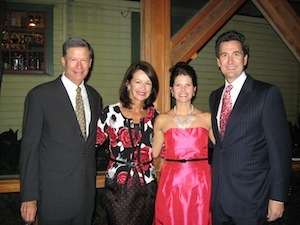 at Mr. David's installation as President of the Lafayette Bar Association. 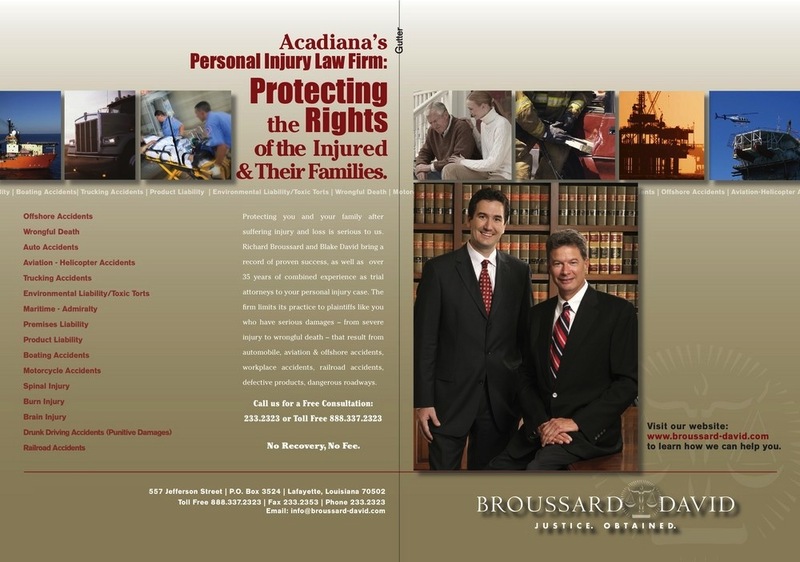 Richard C. Broussard and Blake R. David formed the law firm of Broussard & David, LLC, focusing in personal injury practice. The two attorneys bring more than 50 years of combined experience as trial lawyers to the partnership. Broussard, a native of Lafayette, Louisiana, was admitted to the Louisiana Bar in 1974. He obtained a Bachelor of Science degree from the University of Louisiana at Lafayette, and earned his law degree from Louisiana State University in Baton Rouge. Broussard is a member of the Louisiana State Bar Association, the Louisiana Association for Justice, the American Association for Justice and The Million Dollar Advocates Forum. Mr Broussard is certified in Civil Trial Advocacy by the National Board of Trial Advocacy and is rated "AV" by Martindale Hubbell (highest possible rating). His areas of practice include Products Liability Law, Maritime Personal Injury Law, Aviation Litigation and General Personal Injury Law. David, born at Shaw Air Force Base, South Carolina, received his Bachelor of Arts degree from Louisiana State University in Baton Rouge. He earned his law degree from the Louisiana State University and was admitted to the Louisiana Bar in 2001. David is a member of the Louisiana State Bar Association, the American Bar Association, Louisiana Association for Justice and the American Association for Justice. His areas of practice include Personal Injury Law, Maritime Personal Injury Law and Products Liability Law. Located in Downtown Lafayette, Louisiana, Broussard & David, LLC serves a broad base of clients throughout the region.